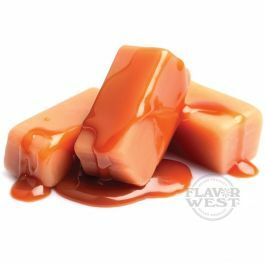 Delicious and easy to use natural butterscotch flavor got its sweet taste from a combination of rich butter, organic brown sugar and other ingredients. For a smoothly sweet flavor, try it in coffee, cocktails, candies, desserts, baked goods and more. Enjoy butterscotch? Try adding natural butterscotch flavor. Type: Butterscotch All Natural Water Soluble Flavoring. Ingredients: Natural Flavoring, Propylene Glycol. USP Kosher Grade Flavoring. Usage Rate: 15-20% for E-use. Flavor suitability: Suitable for candies, desserts, baked goods and more. Specific Gravity: 1.14 No Refunds on Flavoring.